FLORENCE, S.C. – The Rev. Waymon Mumford, a former police chief for the city of Florence, was elected chairman of the Florence County Council on Thursday. 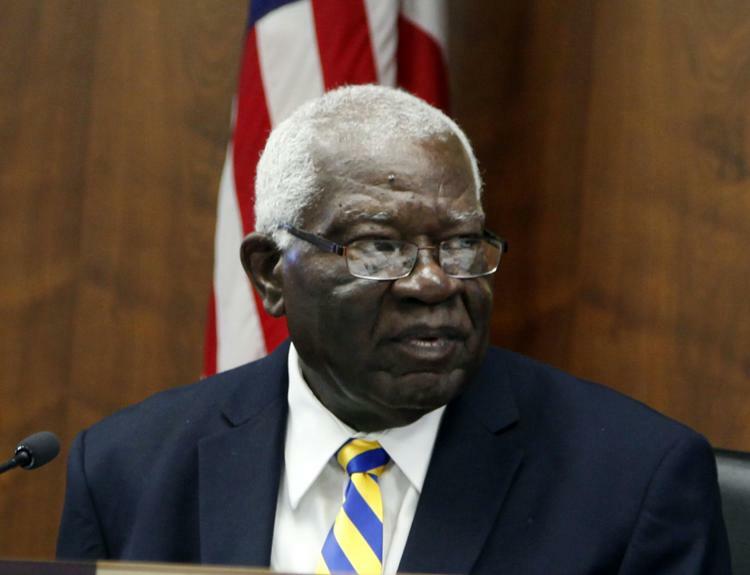 Mumford said he had previously unofficially served for two or three months as chairman when K.G. “Rusty” Smith transitioned from the council into the role of county administrator. Mumford was nominated by Councilman James Schofield. The nomination received multiple seconds and was approved unanimously. Outgoing Chairman Kent Caudle said it was tradition for the chairman of the council to serve a two-year term before turning the reins over to another council member. He added that since he had been on the council, Schofield and Roger Poston had served two-year terms in the role. Caudle was also thanked by multiple members of the council for his service as chairman. Vice Chairman Willard Dorriety was re-elected to his position by the council upon the motion of Alphonso “Al” Bradley and a second by Councilman Kent Caudle. Dorriety’s election was also unanimous. Dorriety said he was honored to be re-elected vice chairman. Councilman Mitchell Kirby was elected to the position of secretary/chaplain of the council. Bradley made the motion to nominate Kirby. The motion was seconded by Mumford. The council also elected Kirby unanimously. Thursday’s meeting also featured the swearing in by Judge Michael Nettles of the county council members re-elected in November. Mumford, Bradley, Schofield, Jason Springs, and H. Steven DeBerry IV did not face opposition in the election.